Are you looking for the best pair of basketball shoes for kids? You’ve reached the right place. This buyers guide will share many useful tips for selecting the best pair of kid’s basket shoes for your child. We’ll also explain why having a great pair of basketball shoes is important and share 5 of the best basketball shoes for kids on the market. Why does your child need basketball shoes? Kid’s basketball shoes are specifically designed for the fast movements that occur on a basketball court. They feature excellent traction and ankle protection so your child is less likely to slip or injure themselves while playing. 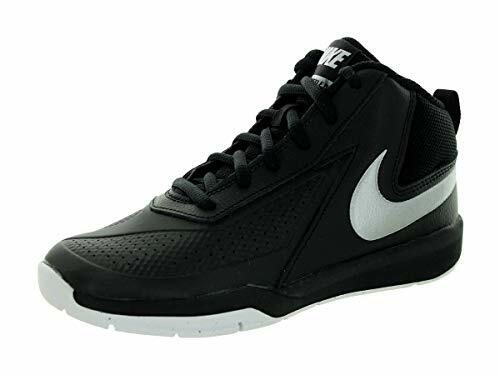 Basketball shoes are also very comfortable and protect the feet while running and jumping around. A high-quality pair of basketball shoes will keep your child safe, improve their performance on the court, and help them get the most out of this exciting sport! Why is it important buy high-quality basketball shoes? This list features five pairs of kid’s basketball shoes that are well-made, affordable, and extremely durable. These shoes will handle everything your child can throw at them while ensuring they remain safe while on the court. Nike’s Team Quick Hustle basketball shoes are one of the best choices available for kids interested in basketball. They are affordable, very comfortable, and will help your child achieve their potential on the court. These shoes are very lightweight, which makes them ideal for fast-moving players who challenge the defense whenever regularly. They are low-cut shoes with a breathable leather and mesh upper, synthetic sole (which works well on outdoor courts), and reinforced stitching for lateral stability. The deep flex grooves make it easier for the player to move their forefoot and remain as agile as possible. It’s never too early to get your children into basketball. 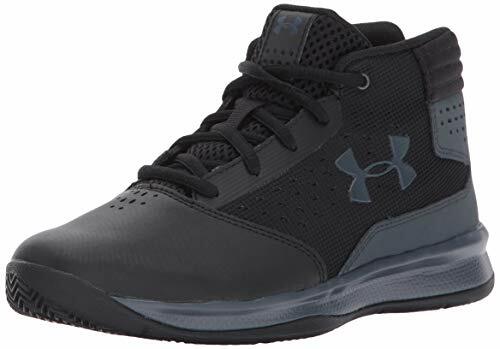 These stylish basketball shoes from Under Armour are designed for very young children who may be stepping onto the court for the first time. They are mid-cut shoes that will provide your child with plenty of protection while running at full speed around the court. These shoes have a breathable leather and mesh upper with a heavily padded tongue, rubber sole, antimicrobial EVA sock liner, and injected EVA midsole for comfort. The rubber outsole has a herringbone design which you will provide your child with plenty of protection. They are well made and guaranteed to last a long time. 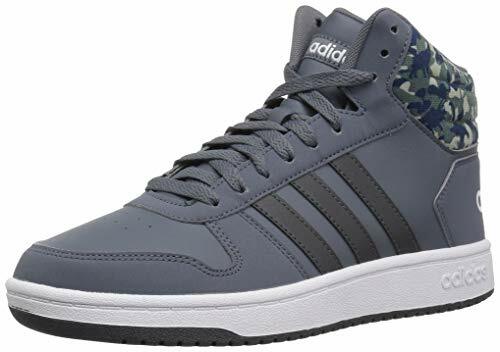 These stylish shoes from adidas are primarily designed for comfort and safety. They feature an ultra-padded tongue and footbed, mid-top design with plenty of ankle support, and a durable rubber outsole. The upper is made from a combination of textile and synthetic materials, and uses a traditional lace-up closure. There are 10 different color combinations to choose from. A great choice for kids just getting started or for more experienced kids who like a very comfortable shoe. 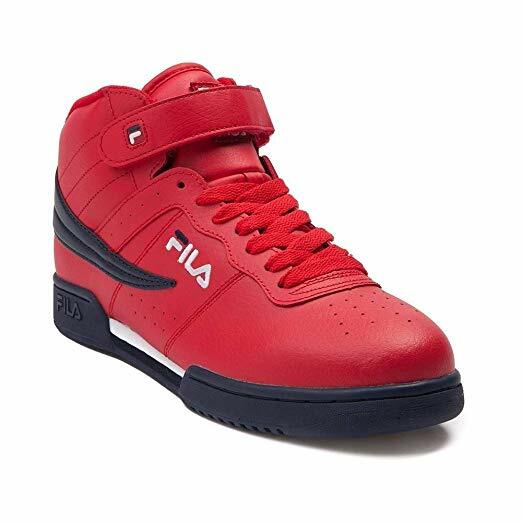 These eye-catching kid’s basketball shoes from Fila are brilliantly designed and extremely durable. They are mid-top shoes with tough pierced leather and synthetic uppers that will keep your child safe while on the court. The hook-and-loop closure design is highly functional and looks fantastic. It also features a thick rubber outsole and EVA midsole. This is a popular pair of kid’s mid-cut basketball shoes from Nike. They feature a breathable synthetic and mesh upper, rubber midsole, and rubber outsole with a herringbone pattern for additional traction. They are surprisingly light for a mid-cut shoe and have excellent breathability thanks to the mesh upper. A great choice for versatile players of any skill level. Basketball shoes have changed a lot in the past few decades. Long gone are the classic Chuck Taylor All Star basketball shoes that were extremely popular in the 1970s. They have been replaced with technologically advanced basketball shoes with sophisticated designs and ultra durable materials. The first consideration when choosing a kid’s basketball shoe is the shoe’s height. Basketball shoes are available in low, mid, and high-cut heights, with each height being best for specific play styles. High-top shoes will have an upper that extends above the player’s ankle. This provides the player with additional support and stability for their ankle. However, the shoe will weigh more because of the additional material that is used. High-tops are often worn by larger or more aggressive players who like having additional ankle support. They are a great choice for forwards and centers. Mid-top shoes have an upper that just covers the ankle. This shoe design is a compromise between high-tops and low-tops — offering some protection but cutting down on weight. They are a good choice for versatile players who move between positions. Low-top shoes are built for speed! The upper on a low-top shoe ends below the ankle, with the shoe resembling a running shoe. 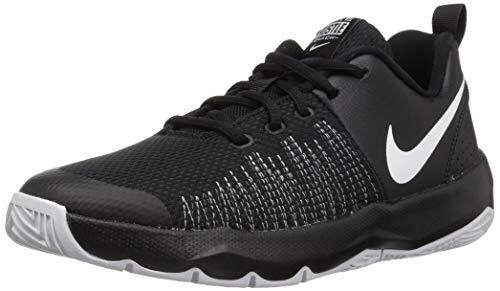 These shoes are very light weight and an excellent choice for players who want to move up and down the court as quickly as possible. Modern basketball shoes can be made from many different types of materials including synthetic polymers, leather, and textiles. When purchasing shoes for your child, take a closer look at the materials used in the upper, midsole, and outsole sections of the product. Made from soft woven materials (synthetic or natural). The advantage of soft uppers include comfort, breathability, and a lighter weight. Soft uppers are often used with low-tops to make the shoe even lighter, emphasizing speed. Hard uppers are usually made from rubber, leather, or a hard synthetic material. While a hard upper is heavier and offer less mobility, it offers more support and protection for the feet. Some uppers are halfway between hard and soft, which offers a compromise between mobility and support. The midsole of a basketball shoe is the section that is between the upper and the outer sole (which touches the ground). Modern basketball shoes often use a cushioning material in this section to absorb shocks and help the player’s feet bounce off the ground. Most midsoles will use ethylene-vinyl acetate (EVA) foam, compressed EVA foam, polyurethane, or rubber. Midsoles containing EVA tend to be lighter, but they are less durable than a polyurethane midsole (polyurethane is very dense and quite tough). Some midsoles include stiffer materials in some sections to improve the stability of the shoe. Some shoe manufacturers will also use exclusive technologies in their midsole to provide additional cushioning on the foot’s pressure points. The outsole of the basketball shoe is a very important component. The materials used and the quality of the tread will determine how much traction a player can obtain on the court. The quality of the outsole can also determine how long the shoe lasts. Most outsoles are made from natural rubber or a synthetic material. Rubber is very grippy and is especially useful on indoor courts. Synthetic materials tend to be a little harder but have more durability. If your child often plays on outdoor courts, they might get more play time from a shoe with a synthetic outsole, however rubber usually offers better performance on indoor courts. The durability of a basketball shoe is determined by the quality of its construction and the materials that it uses. Shoes that are made to a higher standard will often be more expensive but your child might get an extra year or two use from it. It’s crucial that the basketball shoes you purchase for your child fit well. This will ensure your child is comfortable while playing and does not suffer any injuries to their feet or ankles. Ideally, there will be about ¼” to ½” between your child’s toes and the tip of the shoe. The shoe must also be the correct width for your child’s feet. If your child has particularly narrow or wide feet, you may need to try a few different products to find a good match. Maintaining traction while on the court is essential for doing well. The amount of traction provided by each pair of basketball shoes will depend on the materials used on the outsole and the design of the tread. Most shoes will use a rubber outsole, which is extremely grippy on indoor courts. However, synthetic materials are sometimes used and are a great choice if your child often play outdoors on rough surfaces like asphalt. The tread design of modern basketball shoes can be quite complex. While some shoes will use an identical tread pattern across the outsole. Others will use different patterns for locations on the foot where players place a lot of pressure. There are even decorative treads available that feature pictures of basketball players and phrases. You will also find that some manufacturers recommend certain treads for different playing surfaces. Nike, for example, will mark the bottom of the shoe with “indoor only” on some products. Other products will carry the tread from the bottom of the outsole across to the sides of the shoe, to give the player traction if they slip or have their foot positioned at a strange angle. Shoe cushioning is the amount of shock absorption that the shoe has. Modern basketball shoes often have so much cushioning that it feels like there are springs the back of the shoe. Shoe cushioning is useful for reducing wear-and-tear on the knees while playing and reducing fatigue. Larger players will also benefit from shoes with a lot of cushioning as basketball tends to be hard on their joints. However, having too much cushioning can make the shoe less stable. Consider the playing a ability of your child before settling on a basketball shoe. If they are just getting started, they don’t really need a super expensive pair of Air Jordans. If they have been playing a while and have become quite skillful, consider getting a high-quality pair of children’s basketball shoes that really showcases their playing style. Your child’s physical attributes can also help to determine which kind of basketball shoe is appropriate. If they are large for their age and quite stocky, consider getting a pair of high-top shoes with a hard upper. This will provide them with much more stability while on the court. If they are quite thin and use their speed to move around the court, check out lighter low-top basketball shoes with mesh uppers. The shoe’s appearance plays a big role when choosing a product for your child. After all, if your child doesn’t think the shoes look cool, they won’t be particularly interested in wearing them. Most manufacturers have a huge variety of shoe colors and designs available, so it is usually fairly easy to find a shoe your child loves. Having a pair of basketball shoes that they love the look of can also help your child become more confident on the court and helps them have fun. Price is always an important consideration when shopping for basketball shoes. They can get very expensive, particularly if your child is interested in high-end or limited edition shoes. When thinking about the price of basketball shoes, remember that higher price usually gets you a more durable shoe. In many cases it’s worth spending a bit extra to get a shoe that lasts a couple of years instead of a cheap one that is ruined within 6 months. If your child has a very obvious playing style, choose a shoe that supports it. Players who have a very physical style and often push up to the hoop and jump a lot will do well with high-tops because of the support they add. Players who move quickly and prefer to shoot instead of push up to the hoop will do well with lighter shoes. An all round player might benefit from mid tops as they are quite versatile. Although basketball is not as dangerous as a full contact sport like football, injuries are still common on the basketball court. The most common basketball injuries suffered by children include muscle strains, contusions, ankle sprains, concussions, overuse injuries, and anterior cruciate ligament (ACL) injuries. You can greatly reduce the risk of these injuries occurring by providing your child with a well-made pair of kid’s basketball shoes. A great pair of basketball shoes will have incredible traction, which makes ankle sprains, muscle strains, falls, and ACL injuries less likely. If you choose a pair of high-tops, your child will also have additional protection around their ankles, which increases their stability and reduces the risk of an ankle sprain occurring. The additional padding and comfort that basketball shoes provide will also minimize the jarring effect of moving on the basketball court, protecting the ankles and the knees. Basketball is a fast-paced game where participants change direction very quickly. This can put a lot of strain on both the outsole and upper of a pair of shoes. Normal sneakers usually don’t last too long when being used on a basketball court. High-quality kid’s basketball shoes, on the other hand, are specifically designed to handle the sudden movements of basketball players. They have very thick outsoles and additional stitching to deal with the wear-and-tear of regular basketball games. You will find that a decent pair of basketball shoes will last many months (or years) longer than a cheap pair of sneakers. This makes them a worthwhile investment in the long run. Children who play sports are healthier and happier than those that don’t. That’s why so many parents encourage their children’s sporting activities. The easiest way to encourage your child to excel at sports is to give them the tools they need to perform well. For basketball, that means giving your child a high-quality pair of kid’s basketball shoes. If they have a great pair of kicks with good traction, it will be easier to accelerate from a standing start and to quickly change directions. Your child won’t fatigue as quickly because the shoes will be more comfortable compared to a normal pair of sneakers and they will have more bounce — so your child gets more height on jumps. Good basketball shoes will also be lightweight, which helps your child move across the court faster and perform better throughout the game. 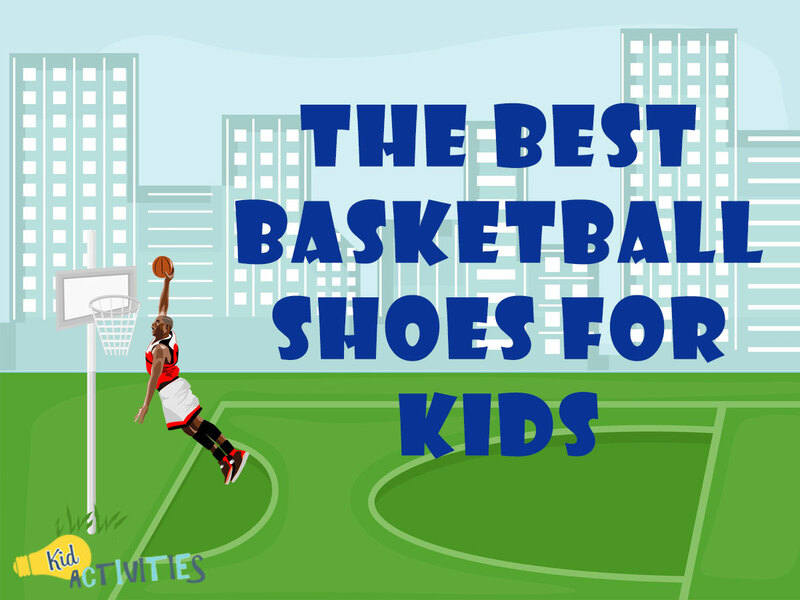 We hope you enjoyed reading Best Basketball Shoes For Kids. As you can see, there are some great products out there. Before purchasing kid’s basketball shoes, consider the factors listed above and have a chat with your child to see which brand they prefer. Once you have purchased a great pair of kicks, you can sit back and enjoy watching your child run around the court having the time of their lives.